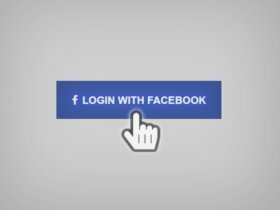 An opensource boilerplate for modern web apps with decoupled frontend and backend using token authentication, with Facebook as an OAuth provider. Accelerates the development of these apps by providing a ready-to-use stack. Feel free to use/fork/contribute ! Built for the Berlin-based company "Seatris". 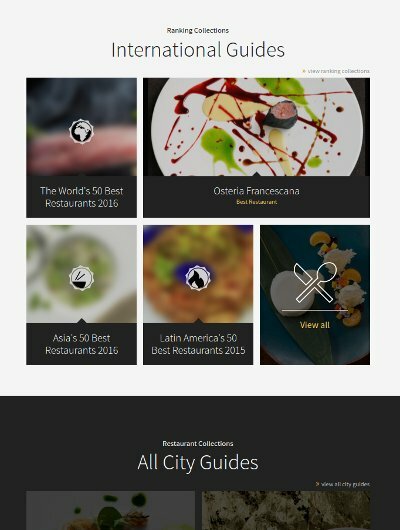 For this web app, which is a guide and search engine of the world's finest restaurants, I built the whole frontend, using the most modern web technologies. 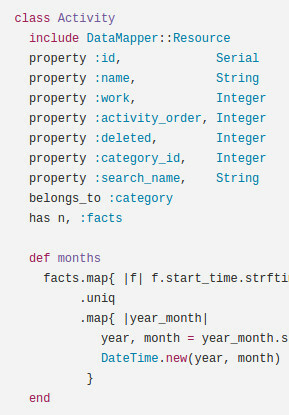 I also built a new API inside the existing Rails backend, to address the specific needs of this new frontend. As Oniryx, a 30-people Belgian software engineering company, transitioned to a flat-hierarchy structure (holacracy), the need for radically new collaboration tools became very apparent. I imagined and built for them this 100% custom platform, which reveals, in real-time, to all employees and collabrators, all the necessary information needed for individual and collective decision-making. For 2 years already, it is used as the company central hub, to centralize and access crucial information and keep everyone in sync. Links to source and demo are currently not available. 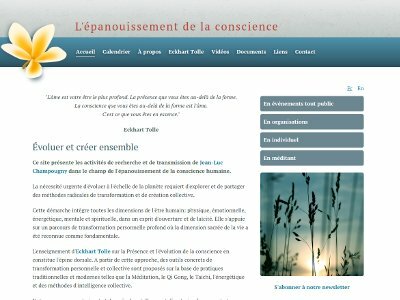 The offical website for a well-being association located near Reims, France. This website is built with RefineryCMS, and allows the client to have complete control over the contents. The association organizes frequent activities, therefore I developed an custom event engine as well as a secure booking & online payment system that uses the Paypal API. Back in 2005, with Jean-François Hovinne, we launched a new type of online editor, challenging the very concept of existing WYSYWIG editors, and allowing for higher-quality and more reliable output. 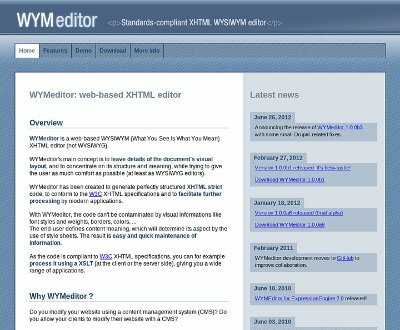 WYMeditor is still improving and being used in a long and growing list of high-profile websites (see Applications using WYMeditor), such as Kickstarter and PolicyStat, and content management systems like RefineryCMS. I don't contribute anymore to WYMeditor, the project is now maintained by Wes Winham and other contributors (who are doing an amazing job). 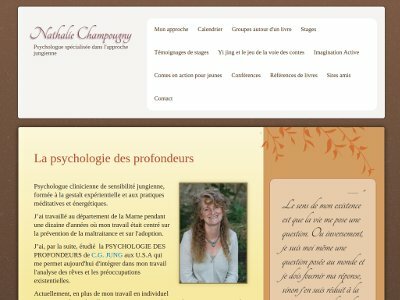 The professional website of psychologist Nathalie Champougny. 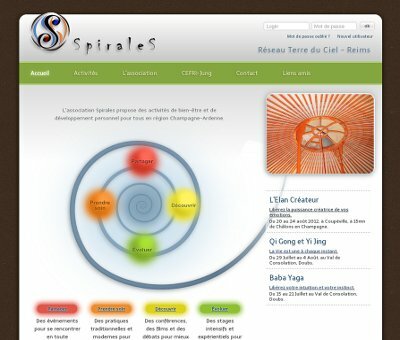 This website is built with RefineryCMS, and allows Nathalie to have complete control over the contents. Every language and culture have their own fascinating, colorful, surprising, funny or sad idiomatic expressions. With this personal project, I wanted to provide a collaborative platform to collect, share and learn about them, in all languages. Even though the platform is functional, I haven't had the time yet to communicate about it and develop it further. But I'd like to come back to it at some point. Personal website of life-coach Jean-Luc Champougny. This website is built with RefineryCMS, and allows Jean-Luc to have complete control over the contents. It also features a custom-made admin section to manage events and speakers. 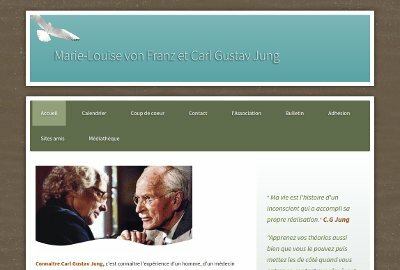 Offical website for the association whose mission is to promote and study the works of Marie-Louise Von Franz, one of C.G Jung's most important associates. This website is built with RefineryCMS, and allows the association to have complete control over the contents. For years, I've been using the very useful Hamster app to track my time on Ubuntu. I wanted to reduce manual work when generating the reports and timesheets that I attach to my invoices. So I created Tempo, which reads data directly from Hamster's sqlite database and generates these documents automatically. Tempo is opensource, feel free to use and adapt it to your needs.